Sawadeekap! 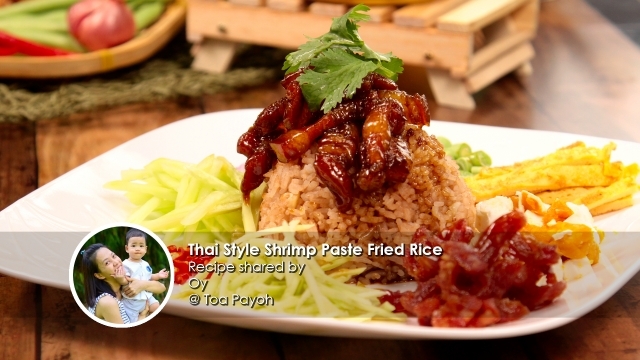 It's Oy's Thai styled Shrimp Paste Fried Rice! This is a traditional Thai recipe that truly sets itself apart from all the other variations of fried rice. 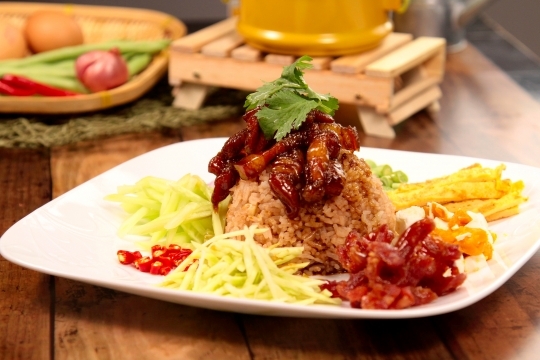 At first glance, shrimp paste with rice might seem a little usual but with its rice nicely laced with a delectable shrimp paste - this dish is definitely packed with flavours to savour. A popular favourite at most Thai restaurants but this is a really simple dish to create even at home. Packing it with all the familiar flavours of Thailand, you will be going Sabai Sabai with every bite. Full recipe below - enjoy! This is a traditional Thai recipe that truly sets itself apart from all the other variations of fried rice. 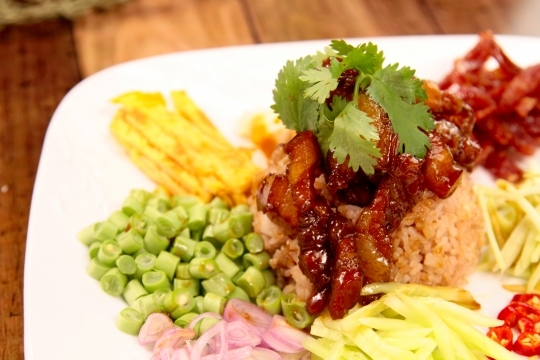 At first glance, shrimp paste with rice might seem a little usual but with its rice nicely laced with a delectable shrimp paste - this dish is definitely packed with flavours to savour. Download Share Food mobile app and a serving from her "Green Hut" today!